Olivia Duhon and the Frank Brown Duo – Main Street Tavern, Broken Arrow, 6:00 to 9:00 p.m.
Amanda Preslar with Shelby Eicher and Mark Bruner – Full Moon on Cherry Street, 7:00 to 9:00 p.m.
7 Blue – Hey Mambo, 114 N Boston, 7:30 to 10:00 p.m.
Mike Cameron Collective: Featuring Scott McQuade on keys, Dean DeMerritt on bass, Jared Johnson on drums and Mike Cameron on sax – Cellar Dweller, 417 W. 7th, 9:30 to 11:30 p.m.
Jazzwich: Brown Bag or Food Truck Lunch and Jazz with Tim Shadley, Jordan Hehl and Nicholas Foster – Oklahoma Jazz Hall of Fame, 111 East First Street, Upper Level, 11:30 a.m. to 1:00 p.m., FREE! Rebecca Ungerman – Atlas Sings, Atlas Grill, 415 S Boston, 11:30 a.m.
Third Thursday Jazz Night – Zarrow Center, 5:00 to 8:00 p.m. No charge for admission. Angie Cockrell and Mike Leland – Bluestone Steakhouse and Seafood Restaurant, 6:00 to 9:00 p.m.
Hefner Grill Trio with Nathan Eicher – Hefner Grill, Oklahoma City,6:30 to 9:30 p.m.
Jordan Hehl Duo: featuring Jordan Hehl on bass – The Vault, 620 SCincinnati, 7:00 to 9:00 p.m.
Duo Sonics –Tallgrass Prairie Table, 313 E. 2nd, 8:00 to 11:00 p.m.
Jazzwich: Brown Bag or Food Truck Lunch and Jazz with Tim Shadley, Jordan Hehl and Nicholas Foster – Oklahoma Jazz Hall of Fame, 111 East First Street, Upper Level, 11:30 a.m. to 1:00 p.m., No Cover! Diffident Rebel Benefit Concert: The Oklahoma Jazz Hall of Fame welcomes Paul Rossler and Diffident Rebel in a benefit concert featuring their very own original Okie-grown Americana music. The band will debut a number of new songs as well as a few new, stripped-down versions of songs from their debut album, Red Dirt Reggae. Special guest singer-songwriter Grant Ragsdale will open. 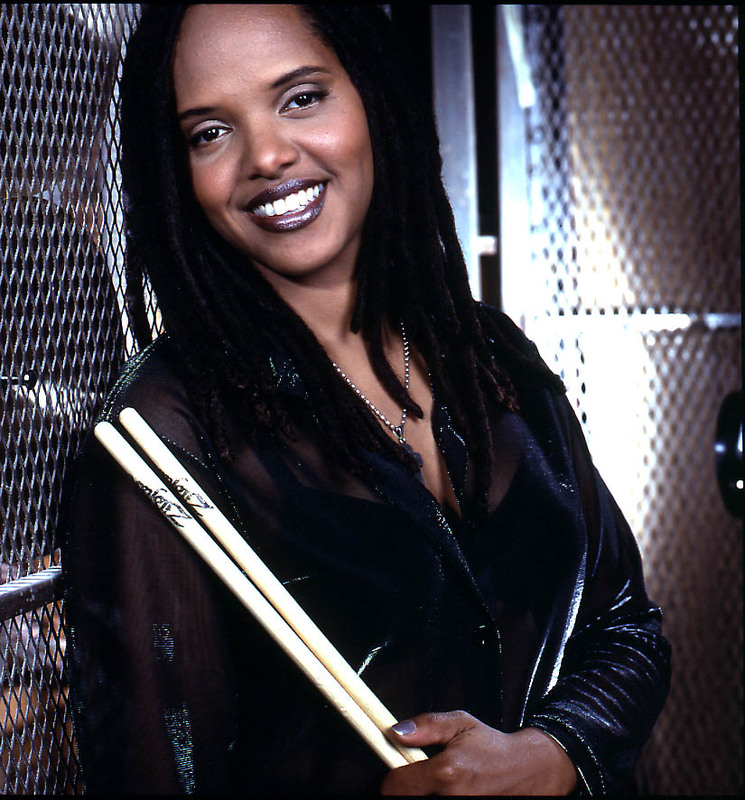 Band proceeds from ticket and merchandise sales will go to the Ami Whitlow-Brown Fund. Ami Whitlow-Brown is a wife, mother of three, and Jenks special education teacher who was diagnosed with Acute Lymphocytic Leukemia on June 19, 2014. She is currently at MD Anderson Cancer Center in Houston,Texas receiving treatment. For more details on the Fund, please visitPraying for Ami Whitlow-Brown on Facebook and its companiondonation site. Show starts at 7:00, with local food trucks on site before the show. Tickets are $10 at the door or in advance atwww.eventbrite.com. Mike Cameron Collective: Featuring Stephanie Oliver on vocals, Frank Brown on guitar and Jim Bates on bass – Daily Grill, Hyatt Regency Hotel,7:00 to 10:00 p.m.
7 Blue – Hey Mambo, 114 N Boston, 7:00 to 9:30 p.m.
Dean DeMerritt Jazz Tribe: Featuring Sarah Maud on vocals, Scott McQuade on keys, Mike Cameron on sax, Michael Bremo on drums and Dean on bass – Pepper’s Grill 91st & Delaware, 8:30 to 11:30 p.m.
Reggae and Jazz Jam – Hibiscus Caribbean Grill, 3316 S Peoria, 10:00 p.m. to 2:00 a.m. $5 cover includes entry and one beer. Pete and Jennifer Marriott Blues Band – Pepper’s Grill 91st &Delaware, 8:30 to 11:30 p.m.
Myron Oliver – Jazz Brunch at Infuzion Ultra Lounge and Bistro, 101st and Mingo, 10:30 a.m. to 2:30 p.m.
Mark Bruner – Sunday Brunch, Polo Grill, Utica Square, 11:30 to 1:30 p.m. Youth Showcase – Pepper’s Grill 91st & Delaware, 2:00 p.m.
Cindy Cain: Summertime Blues: The Oklahoma Jazz Hall of Famewelcomes vocalist Cindy Cain to the Jazz Depot stage in her unforgettable show: Summertime Blues. Jazz Hall favorite Cindy Cain is joined in concert by bassist Dean DeMerritt, Scott McQuade on piano, Charles Tuperville on guitar, and drummer Wade Robertson. 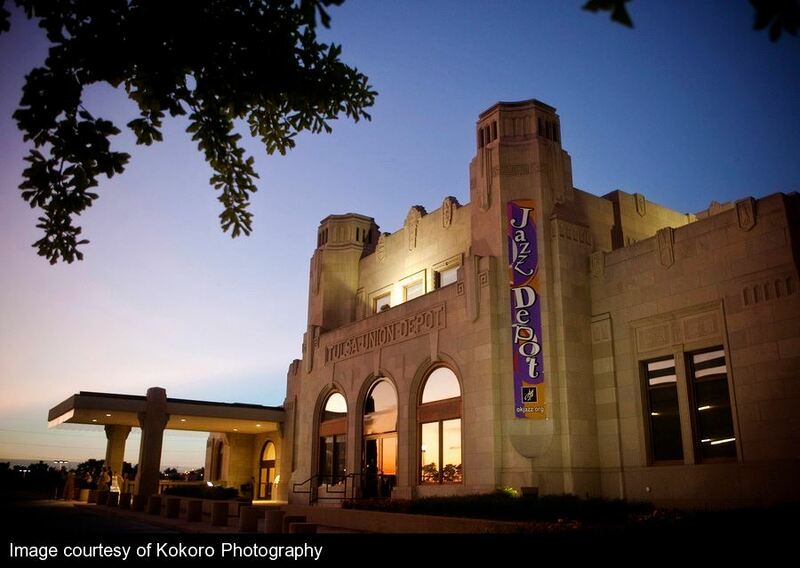 –Oklahoma Jazz Hall of Fame, 111 E First, Upper Level. Sunday,5:00 to 7:00 p.m. Purchase your tickets at the door or call Bettie Downing at (918) 281-8609. Members and Seniors enjoy discounted ticket prices at $10.00 each. General Admission tickets are only $15.00 or $20.00 for Reserved Table Seating. High school and middle school students admitted for only $5.00. 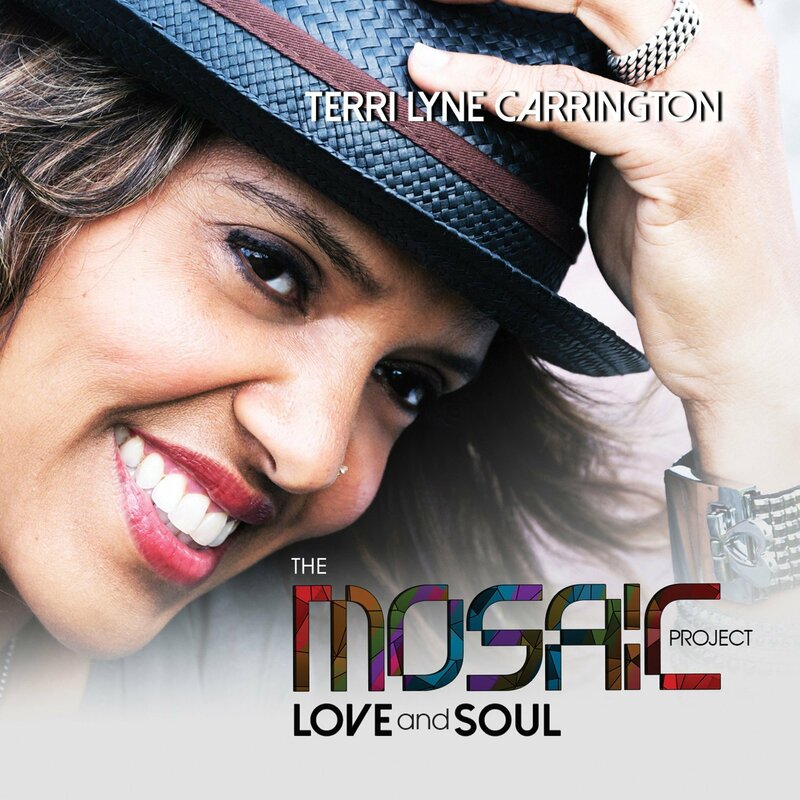 This event is a part of the Jazz Hall’s Summer Concert Series. Free parking. Mark Bruner and Tommy Crook – Full Moon Café on Cherry Street,6:30 to 8:30 p.m.
Stephanie Oliver and the Frank Brown Duo – Bodean’s, 51st and Harvard, 7:00 to 10:00 p.m.
Rebecca Ungerman with Jordan Hehl – Musical Mondays at Whole Foods, 41st and Peoria, Monday, 11:30 a.m. to 1:00 p.m.
Sandy and Chuck Gardner – Musical Mondays, Cascia Hall PerformingArts Center, 2600 S. Utica, 7:00 p.m.
Cypher 120 with Written Quincey – Creative Room, 1317 E 6th, 8:00 p.m. to midnight. 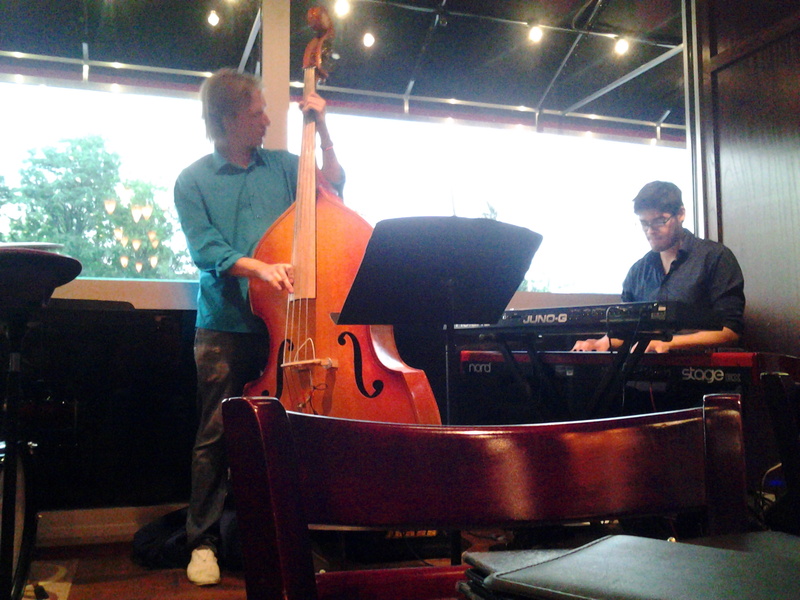 Mike Cameron Collective: Scott McQuade on keys, George Toumayan on drums and Mike Cameron on sax – Hodge’s Bend, 815 E 3rd, 9:00 to 11:30 p.m.
Rebecca Ungerman – The Tulsa Sound Sampler at Whole Foods, 41st andPeoria, 6:00 p.m.
Mark Bruner – Ridge Grill, 9999 S. Mingo, 6:30 to 8:30 p.m.
Kings of Music: a 7 piece band that plays every Tuesday for ballroom dancing – Moose Lodge, 11106 E. 7th Street, 7:30 to 9:45 p.m. 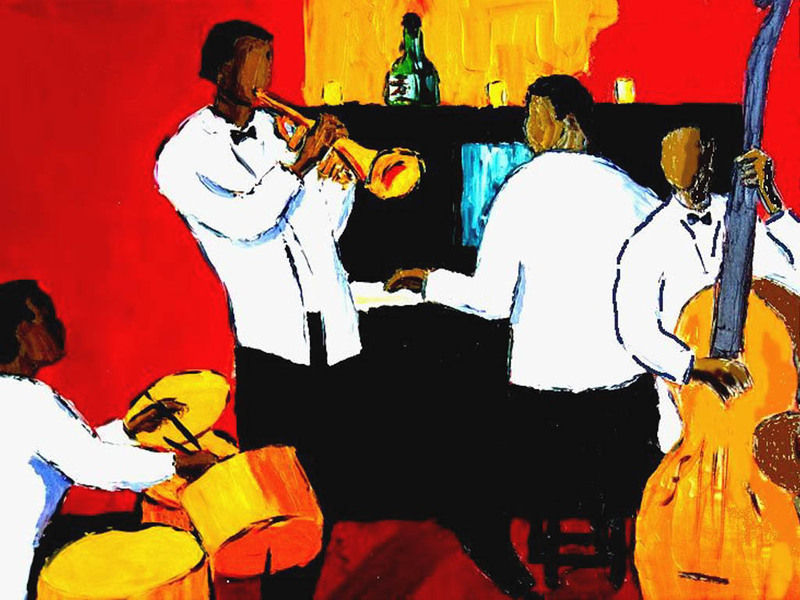 Please support clubs and restaurants that hire jazz musicians! The Oklahoma Jazz Hall of Fame is a 501© (3), non-profit, cultural and educational organization. It exists to provide a system in and for the State ofOklahoma to preserve, promote and illuminate the true art forms of jazz, blues and gospel music; also identify, document and honor the artists who have made a significant contribution locally, regionally, nationally and internationally to its development. Additionally, the Oklahoma Jazz Hall ofFame promotes learning, training, classes, performances and cultural events with and on behalf of disadvantaged youth of all races, creeds, religions and ethnic heritage and provides scholarships to graduating students. We celebrate the music of America. Pam Van Dyke Crosby and Scott McQuade – Main Street Tavern,Broken Arrow, 6:00 to 9:00 p.m.
Mike Cameron Collective: Nick Mancini on vibes, Scott McQuade on keys, Jared Johnson on drums and Mike Cameron on sax – Cellar Dweller, 417 W. 7th, 9:30 to 11:30 p.m.
Jordan Hehl featuring Clay Welch and Zach Miller on guitar – The Vault,620 S Cincinnati, 7:00 to 9:00 p.m.
Terry Cooper Blues Band – Pepper’s Grill 91st & Delaware, 8:30 to 11:30 p.m.
Mark Bruner and Shelby Eicher – Infuzion Ultra Lounge and Bistro, 101st and Mingo, 6:00 to 8:30 p.m.
Danny Timms Blues Band – Pepper’s Grill 91st & Delaware, 8:30 to 11:30 p.m.
Jazz Brunch presented by Tulsa Jazz, Bluestone Steakhouse and Seafood Restaurant, 11:00 a.m. to 2:00 p.m.
Prentice Vincent: The Colors of Me. In his first headlining performance at the Oklahoma Jazz Hall of Fame, vocalist and pianist Prentice Vincent takes the Jazz Depot stage in a R&B and Gospel concert event. – Oklahoma Jazz Hall of Fame, 111 E First, Upper Level. Sunday, 5:00 to 7:00 p.m. Purchase your tickets at the door or call Bettie Downing at (918) 281-8609. Members and Seniors enjoy discounted ticket prices at $10.00 each. General Admission tickets are only $15.00 or $20.00 for Reserved Table Seating. High school and middle school students admitted for only $5.00. This event is a part of the Jazz Hall’s Summer Concert Series. Free parking. Shelby Eicher and Mark Bruner – Full Moon Café on Cherry Street,6:30 to 8:30 p.m.
Travis Fite Duo – Bodean’s, 51st and Harvard, 7:00 to 10:00 p.m.
Amy Cottingham’s 47th Monthly Musicale – Oklahoma Jazz Hall of Fame, 111 E First, Upper Level. Monday, 6:30 to 8:30 p.m. Admission is free. Food and donations are encouraged. Cypher 120 with Written Quincey: Music by Paul Humphrey, Ricky Skawinski and Jordan Hehl – Creative Room, 1317 E 6th, 8:00 p.m. to midnight. 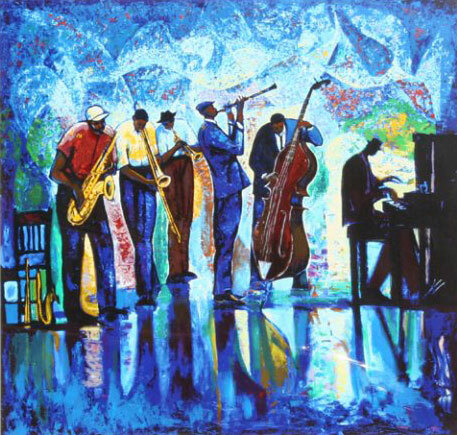 Mike Cameron Collective: Jordan Hehl on bass, Jared Johnson on drums and Mike Cameron on sax – Hodge’s Bend, 815 E 3rd, 9:00 to 11:30 p.m.
Mark Bruner and Shelby Eicher – Ridge Grill, 9999 S. Mingo, 6:30 to 9:00 p.m. The Oklahoma Jazz Hall of Fame is a 501© (3), non-profit, cultural and educational organization. It exists to provide a system in and for the State of Oklahoma to preserve, promote and illuminate the true art forms of jazz, blues and gospel music; also identify, document and honor the artists who have made a significant contribution locally, regionally, nationally and internationally to its development. Additionally, the Oklahoma Jazz Hall of Fame promotes learning, training, classes, performances and cultural events with and on behalf of disadvantaged youth of all races, creeds, religions and ethnic heritage and provides scholarships to graduating students. We celebrate the music of America. Kings of Music, a 7 piece band that plays every Tuesday for ballroom dancing – Moose Lodge, 11106 E. 7th Street, Tuesday night, 7:30 to 9:45 p.m.
Jazzwich – Brown Bag or Food Truck Lunch and Jazz with Tim Shadley, Jordan Hehl and Nicholas Foster – Oklahoma Jazz Hall of Fame, 111 E First, Upper Level, Wednesday, 11:30 a.m. to 1:00 p.m., FREE! Kelsey Griswold – Main Street Tavern, Broken Arrow, Wednesday night, 6:00 to 9:00 p.m.
Annie Ellicott with Shelby Eicher and Mark Bruner – Full Moon Cafe, Wednesday night, 7:00 to 9:00 p.m.
7 Blue – Hey Mambo, 114 N Boston, Wednesday night, 7:30 to 10:00 p.m.
– Cellar Dweller, 417 W 7th, Wednesday night. 9:30 to 11:30 p.m. The Jordan Hehl Duo (Sean Al-Jibouri on guitar and Jordan Hehl on bass) – The Tom Tom Room at the Vault, 7th & Cincinnati, Thursday night, 6:00 to 8:00 p.m.
Olivia Duhon and the Frank Brown Duo – Tallgrass Prairie Table, 313 E 2nd, Thursday night, 8:00 to 11:00 p.m.
Mark Bruner and Shelby Eicher – Whole Foods, 91st and Yale, Friday, 11:30 a.m. to 1:30 p.m.
7 Blue – Hey Mambo, 114 N Boston, Friday night, 7:00 to 9:30 p.m.
Mike Cameron Quartet (Olivia Duhon on vocals, Ron Adams on bass, Frank Brown on guitar and Mike Cameron on sax) – Daily Grill, Hyatt Regency Hotel, Friday night, 7:00 to 9:00 p.m.
Mark Bruner and Annie Ellicott -Tallgrass Prairie Table, 313 E 2nd, Friday night, 8:00 to 11:00 p.m.
Pete and Jennifer Marriott – Pepper’s Grill, 91st & Delaware, Friday night, 8:30 to 11:30 p.m.
Reggae and Jazz Jam – Hibiscus Caribbean Grill, 3316 S Peoria, Friday night, 10:00 p.m. to 2:00 a.m. $5 cover includes entry and one beer. Quasimojo – Tallgrass Prairie Table, 313 E 2nd, Friday night, 8:00 to 11:00 p.m.
David Skinner – Pepper’s Grill 91st & Delaware, Saturday night, 8:30 to 11:30 p.m.
Myron Oliver – Sunday Jazz Brunch, Infuzion Ultra Lounge and Bistro, 9999 S Mingo, Sunday, 10:30 a.m. to 3:00 p.m.
Mark Bruner – Sunday Brunch, Polo Grill, Utica Square, Sunday, 11:30 to 1:30 p.m.
Jordan Hehl and the Django Reinhardt Tribute – Oklahoma Jazz Hall of Fame, 111 E First, Upper Level. Sunday, 5:00 to 7:00 p.m. Purchase your tickets at the door or call Bettie Downing at (918) 281-8609. Members and Seniors enjoy discounted ticket prices at $10.00 each. General Admission tickets are only $15.00 or $20.00 for Reserved Table Seating. High school and middle school students admitted for only $5.00. 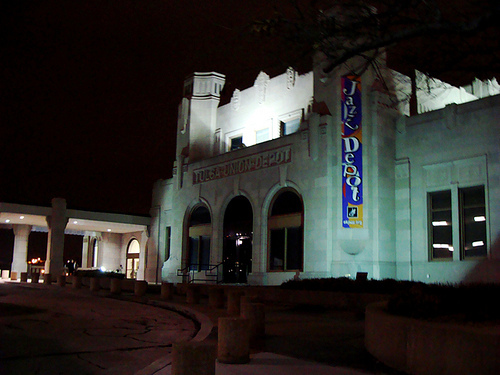 The event is a part of the Jazz Hall’s Winter Concert Series. Free covered parking. Travis Fite Duo – Bodean’s, 51st and Harvard, Sunday night, 7:00 to 10:00 p.m.
Paul Benjamin’s Nite Thing featuring Mike Cameron – The Colony, 2809 S Harvard, Sunday night, 10:30 p.m.
Jon Glazer – Infuzion Ultra Lounge and Bistro, 9999 S Mingo, Monday, 5:00 to 8:00 p.m.
Cypher 120 with Written Quincey as your host for open mike poetry. Music by Paul Humphrey, Ricky Skawinski and Jordan Hehl. Creative Room, 1317 E 6th, Monday night, 8:00 p.m. to midnight. – Hodge’s Bend, 815 E 3rd, Monday night, 9:00 to 11:30 p.m.
Jon Glazer – Infuzion Ultra Lounge and Bistro, 9999 S Mingo, Tuesday, 5:00 to 8:00 p.m.
Olivia Duhon and the Frank Brown Duo – Cork Wine Café, 8922 S. Memorial, Tuesday night, 6:30 to 9:00 p.m. The Oklahoma Jazz Hall of Fame is a 501(c) (3), non-profit, cultural and educational organization. 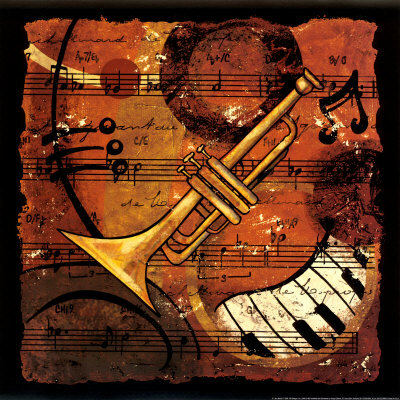 It exists to provide a system in and for the State of Oklahoma to preserve, promote and illuminate the true art forms of jazz, blues and gospel music; also identify, document and honor the artists who have made a significant contribution locally, regionally, nationally and internationally to its development. Additionally, the Oklahoma Jazz Hall of Fame promotes educational learning, training, classes, performances and cultural events with and on behalf of disadvantaged youth of all races, creeds, religions and ethnic heritage and provides scholarships to graduating students. We celebrate the music of America. Kings of Music, a 7 piece band that plays everyTuesday for ballroom dancing – Moose Lodge, 11106 E. 7th Street, Tuesday night, 7:30 to 9:45 p.m.
Shelby Eicher with Mischievous Swing – Brown Bag It, Tulsa PAC,Wednesday, noon. 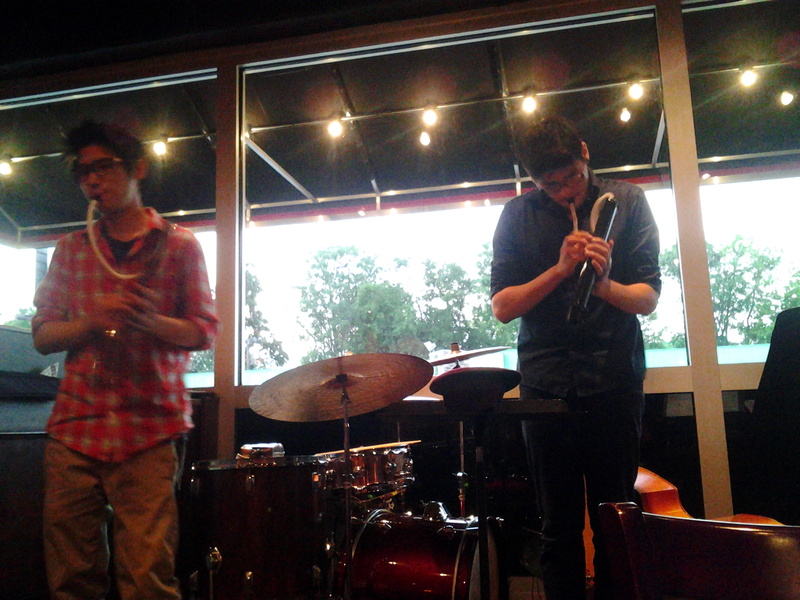 Mike Cameron Trio – Cellar Dweller, 417 W 7th, Wednesday night. 9:30 to 11:30 p.m.
Begonias – Main Street Tavern, Broken Arrow, Thursday night, 6:00 to 9:00 p.m.
Mark Bruner – Ti Amo, 61st & Sheridan, Thursday night, 6:00 to 8:00 p.m.
Jordan Hehl Trio – The Vault, 7th & Cincinnati, Thursday night, 7:00 to 10:00 p.m.
Quasimojo – Pepper’s Grill, 91st & Delaware, Friday night, 8:30 to 11:30 p.m.
Kirk Whalum, Grammy-winning saxophonist – Wayman Tisdale Foundation Jazz Benefit, Cascia Hall Performing Arts Center, 2520 S Yorktown, Saturday night, 7:00 p.m.
Barrett Lewis Band – Pepper’s Grill 91st & Delaware, Saturday night, 8:30 to 11:30 p.m.
Myron Oliver – Sunday Jazz Brunch, Infuzion Ultra Lounge and Bistro, 9999 S Mingo,Sunday, 10:30 a.m. to 3:00 p.m.
John Fedchock with the critically acclaimed NSU Jazz Ensemble – Fedchock, jazz trombonist, was a member of the Wood Herman Orchestra. He was musical director as well as a featured soloist for seven years. He also toured with T.S. Monk, Gerry Mulligan’s Concert Jazz Band, Louie Bellson’s Big Band, Bob Belden Ensemble, Manhattan Jazz Orchestra and the Carnegie Hall Jazz Band- Oklahoma Jazz Hall of Fame, 111 E First, Upper Level. Sunday, 5:00 to 7:00 p.m. Purchase your tickets at the door or call Bettie Downing at (918) 281-8609. Members and Seniors enjoy discounted ticket prices at $10.00 each. General Admission tickets are only $15.00 or $20.00 for Reserved Table Seating. High school and middle school students admitted for only $5.00. The event is a part of the Jazz Hall’s Fall Concert Series. Free covered parking. Olivia Duhon and the Frank Brown Duo – Smoke on Cherry Street, Sunday night,6:30 to 9:30 p.m.
Susan Herndon – Bodean’s, 51st & Harvard, Sunday night, 7:00 to 10:00 p.m.
Musical Mondays with Rebecca Ungerman with Jordan Hehl – Whole Foods, 41st & Peoria, Monday from 11:30 a.m. to 1:30 p.m.
John Fedchock with the NSU Jazz Ensemble – NSU Jazz Lab, 315 N. Muskogee Ave., Tahlequah, Monday night, 7:00 p.m. General Admission $5. Cypher 120 with Written Quincey as your host for open mike poetry. Music by Paul Humphrey, Ricky Skawinski and Jordan Hehl. Creative Room, 1317 E 6th, Monday night,8:00 p.m. to midnight. Mike Cameron Trio – Hodge’s Bend, 815 E 3rd, Monday night, 9:00 to 11:30 p.m.
Kings of Music, a 7 piece band that plays every Tuesday for ballroom dancing – Moose Lodge, 11106 E. 7th Street, Tuesday night,7:30 to 9:45 p.m. The Oklahoma Jazz Hall of Fame is a 501(c) (3), non-profit, cultural and educational organization. It exists to provide a system in and for the State of Oklahoma to preserve, promote and illuminate the true art forms of jazz, blues and gospel music; also identify, document and honor the artists who have made a significant contribution locally, regionally, nationally and internationally to its development. Additionally, the Oklahoma Jazz Hall of Famepromotes educational learning, training, classes, performances and cultural events with and on behalf of disadvantaged youth of all races, creeds, religions and ethnic heritage and provides scholarships to graduating students. We celebrate the music of America. On its surface, the content of Saturday’s Koan Collective performance sounds pretty familiar to those who enjoy live jazz: several specially arranged standards, spiced up with original tunes. A little deeper digging, however, reveals some intriguing, even audacious, content that audiences aren’t likely to get anywhere else — including a few numbers played on dual melodicas. Melodicas, once used widely in primary schools, are essentially keyboards with mouthpieces, Still important parts of some school music programs around the world, they become, in the hands of Koan Collective’s Jonah Wei-Haas and Nate Wong, offbeat instruments for jazz duets. “We had to practice a bit at first to try to get the balance right, because not only are they harmonically in the same frequency range, they also have kind of a harsh sound. They don’t sound pretty, so making the other person sound good while he’s trying to solo was an interesting, and kind of fun, endeavor,” says Wei-Haas with a chuckle. “We have a fun arrangement of `Take the “A” Train,’ and there are also some French songs, like `La Vie en Rose’ and a Django [Reinhardt] song Nate taught me that fit with that sound, which is more of an accordion sound. “In addition to the double melodica stuff, I’ll be playing some solo pieces in the show. I’ve taken on a project of making solo piano arrangements of popular electronic dance music songs. That sounds like a stretch, but in many ways, the aesthetic lends itself to a very classical kind of style. I’ve got some funky originals we’ll play, and Nate has a bunch of originals, too. We’ll also throw some of our own arrangements of songs we’ve grown up loving,” he adds. Wei-Haas tends to use the word “fun” when he talks about the music created by the Koan Collective. It’s clear from his conversation that he and Wong are not only having a blast with their current shows, but that they’ve also been getting a charge out of their musical partnership from the very beginning. Both were students at Berklee College of Music in Boston when Wei-Haas, a Tulsa boy, met Wong, who hails from Hong Kong. Soon, they were making music together. “Nate would come over to my apartment late at night, and we’d write these really silly songs on the piano,” Wei-Haas recalls. “He’d write a melody, and I’d start accompanying him, and then we’d switch, right in the middle of the song, and trade solos. It was just a fun way of writing songs together. 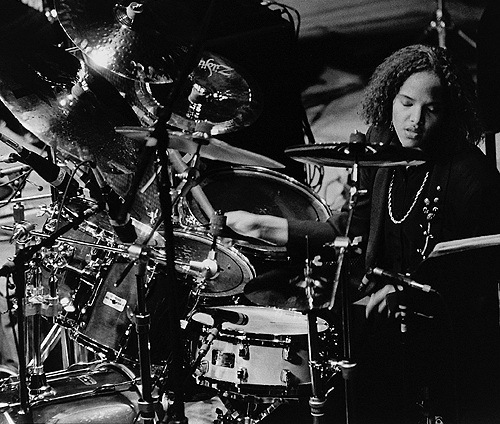 After Berklee, Wei-Haas moved to Chicago with the rest of the members of a jazz group, which ultimately broke up. Now contemplating a move back to his hometown, he was in the meantime delighted to reunite with Wong, who’d relocated to Fayetteville, Ark. For the Jazz Depot show, Wong, whose primary instrument is drums, and keyboardist Wei-Haas will be joined by the busy bassist Jordan Hehl, a fixture on the Tulsa jazz scene. 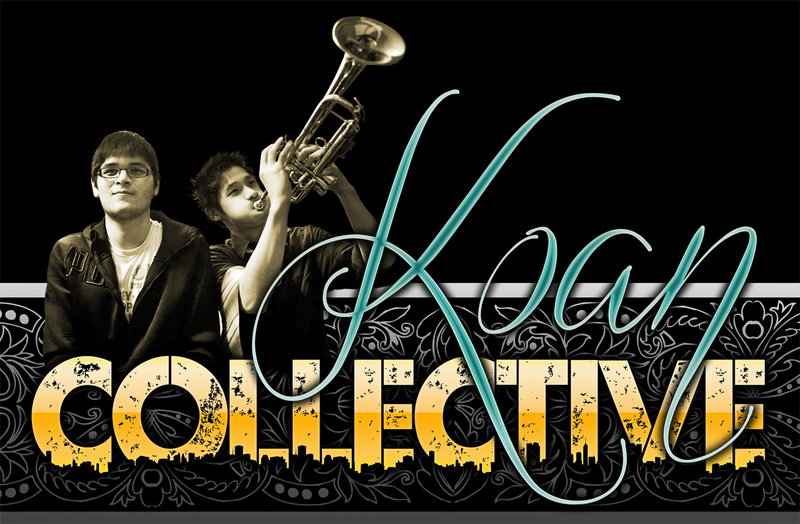 The Koan Collective is set to begin at 8 p.m. Saturday, Sept. 14, at theOklahoma Jazz Hall of Fame, located in downtown Tulsa’s Jazz Depot, 111 E. First Street. Tickets can be purchased at the depot, from www.myticketoffice.com, or by calling Bettie Downing at 918-281-8609. General admission is $15, reserved table seating $20. Seniors and Jazz Hall members are admitted for $10, and high school and junior high students for $5.The show is a part of the Jazz Hall’s 2013 Autumn Concert Series.